Brilliant hopes to learn to write someday. Brilliant came to Mustard Seed Communities at age three after being abandoned due to his special needs. Brilliant has spinal cord paralysis and hydrocephalus. He presently attends school for the physically challenged, where he is supported and empowered to reach his full potential. He is very bright, and in school he focuses on learning to write. 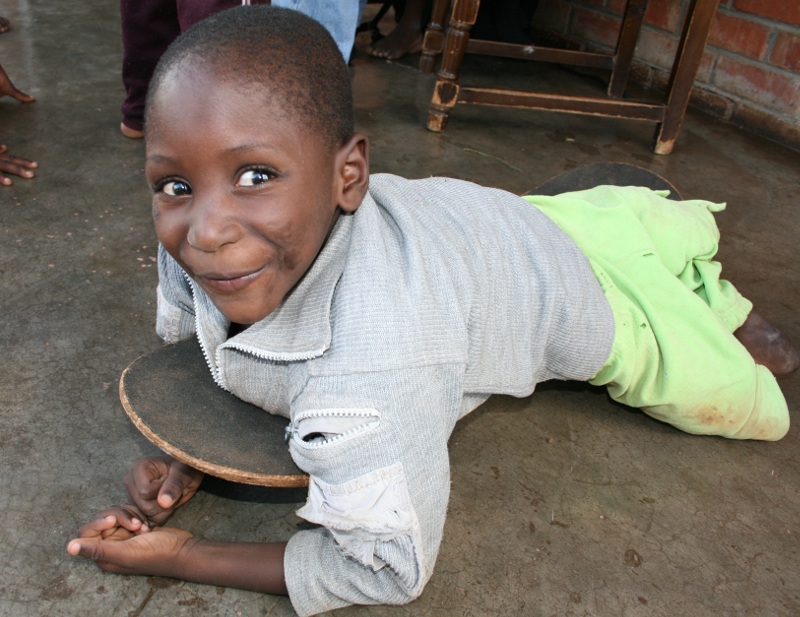 Back at MSC Zimbabwe, he focuses on how to play and thrive despite his lower body immobility. He does use a wheelchair, though his preferred method of keeping up with his friends is by skateboard.